The Ugljan island is the island of olive monoculture. Here in the town of Ugljan, in the hamlet of Muline, one can find the remains of the ancient oil mill from 1st century, the evidence of two millennia of olive-growing and production of olive oil on the island. The product of wine on this site was scientifically researched and investigated, as well as the production of olive oil with the help of the five strongest presses for olive-pressing on the Mediterranean. Here in Muline, the "Mulkine press" was invented a method that replaced the so-called "Cato press" that was used until then. The oil mill remained operational until the 4th century. In Muline, they used the method of storing the olives in the sea until the it was time to process them. 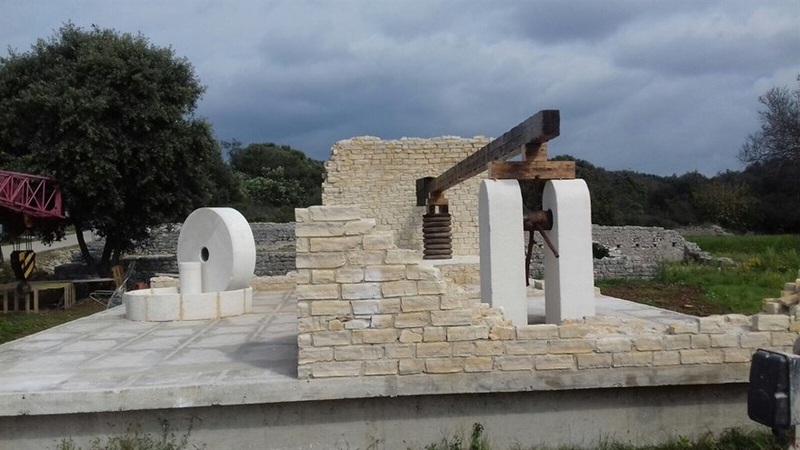 This protected the olives from rotting and decay, but it also represented a new method of oil production. The new olive oil had a more pleasant taste, and it became the most valued oil on the market of the Roman Empire, under the name Oleum Liburnicum. This oil was described by the Roman writer Apicius in the 4th century.